October is flying by and Halloween is fast approaching so I thought I would share some fun ideas that I spotted at The Scoop this week! There’s still plenty of time to decorate, create or cook with Halloween in mind…and here’s just the inspiration you need! 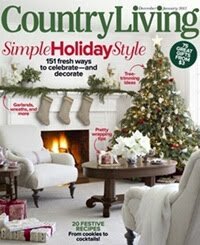 Calypso in the Country shared her simple black and orange mantel. 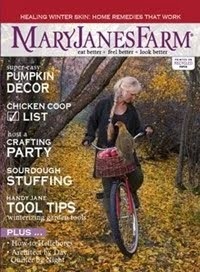 Love that Jack-o-lantern! 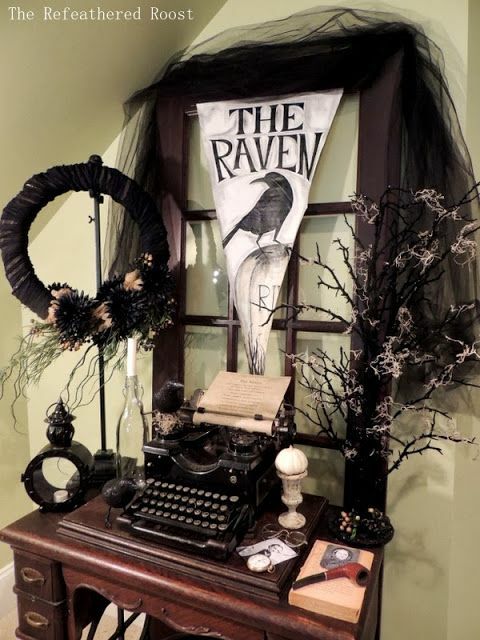 Fans of Edgar Allan Poe’s The Raven will love this Halloween vignette with a literary twist from The Refeathered Roost! 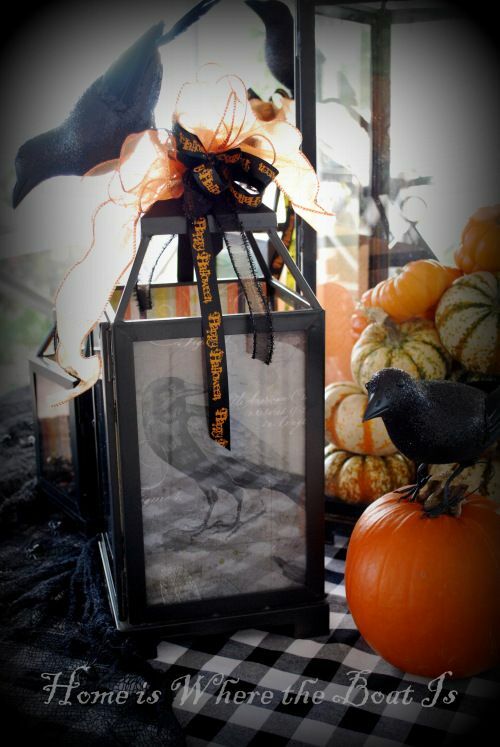 More ravens star in the haunted lanterns from Home Is Where the Boat Is! Spooky! 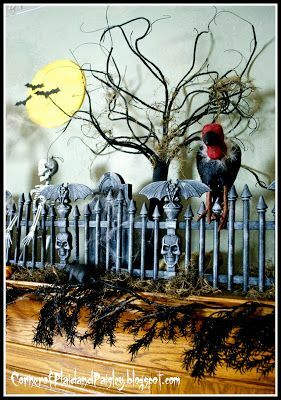 Speaking of spooky…gotta love this fabulous Halloween graveyard mantel from Corner of Plaid and Paisley that she has nicknamed St. BoneAdventure Cemetery! The Happy Housie dressed up some inexpensive frames with chevron fabric and topped them off with creepy spiders…love it! 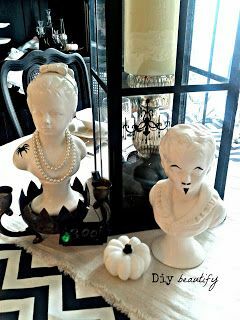 DIY Beautify showed us how to set a spooky table with the just-right amount of scary! 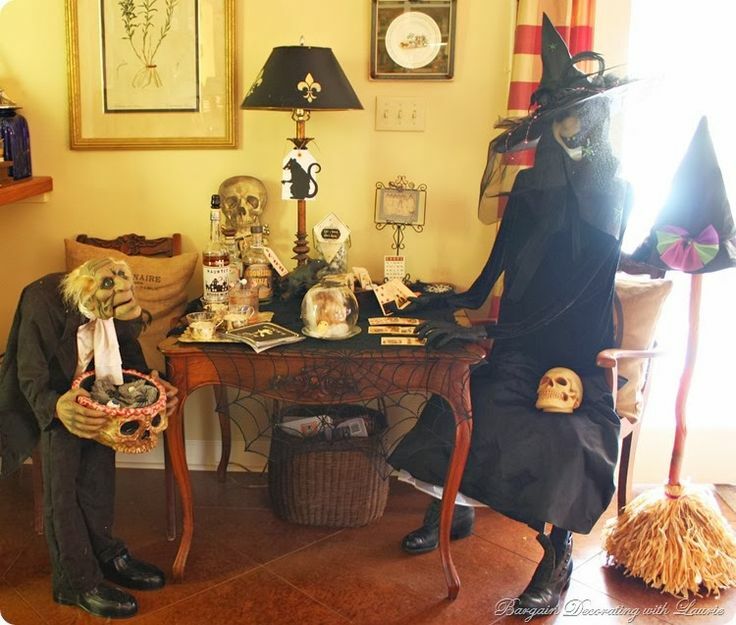 Marsha’s Creekside Creations shared her vintage-style Halloween vignette. Love the touches of tarnished vintage silver! 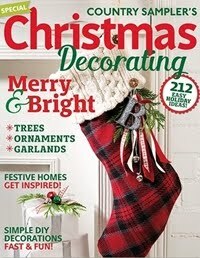 If you know Laurie at Bargain Decorating with Laurie, you know she goes all out for the holidays! 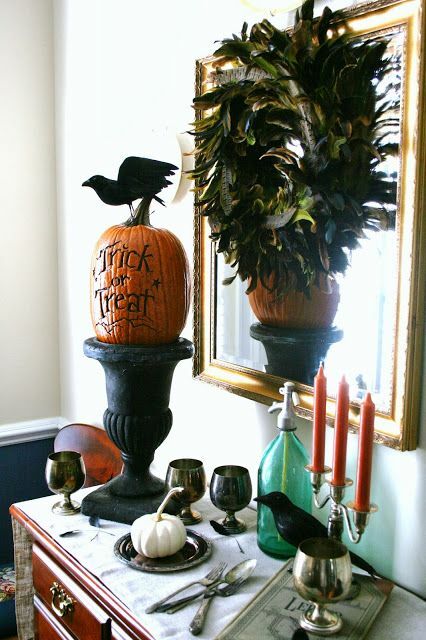 There’s an amazing amount of detail in this Halloween vignette…scary! 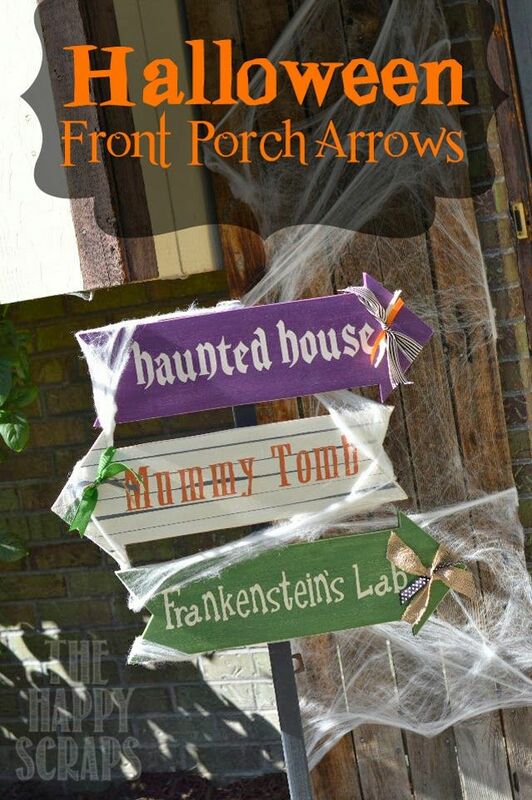 Here are some fun Halloween signs for your front porch created by The Happy Scraps. 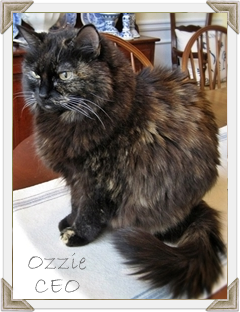 Check out her detailed tutorial! 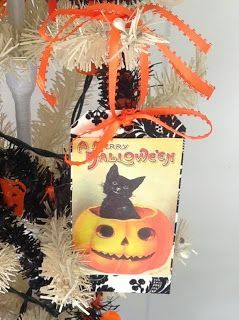 I love this fun Halloween tree starring vintage postcards from Beeutiful by Design! 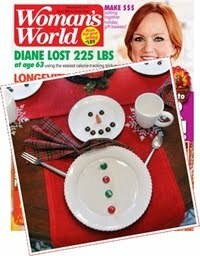 And she even includes the graphics so that you can make one, too! Isn’t this clever? 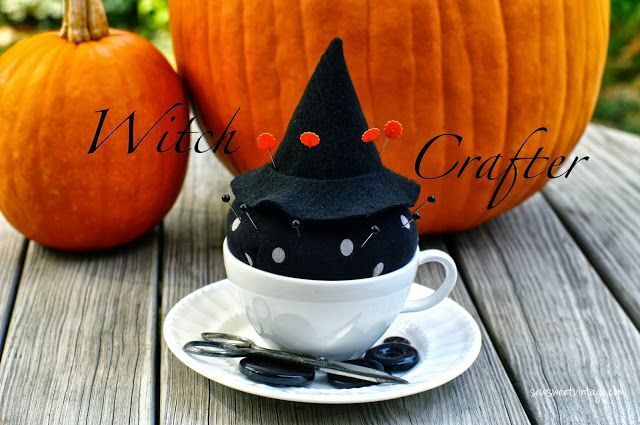 Sew Sweet Vintage shows us how she made this fun witch tea cup pin cushion. 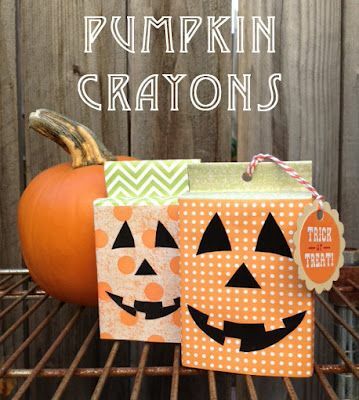 The Moody Fashionista came up with these pumpkin crayons as a Halloween treat for her daughter’s class when she discovered that her school is sugar-free! Genius! 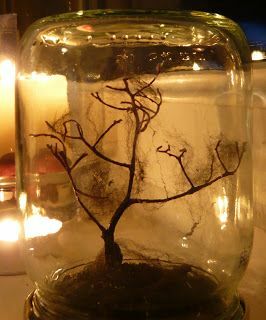 Mia’s Little Things raided her yard to make her glow-in-the-dark creepy Halloween tree…tiny Halloween fun in a jar! 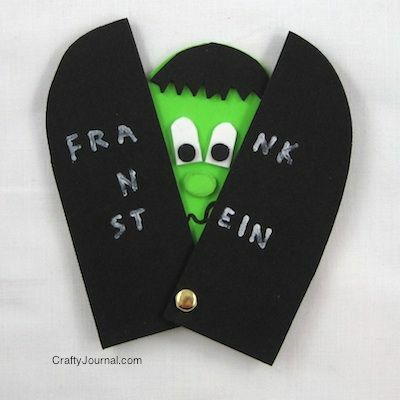 I am saving this peek-a-boo Frankie from Crafty Journal to make with my grands when they are just a bit older! They will love it! 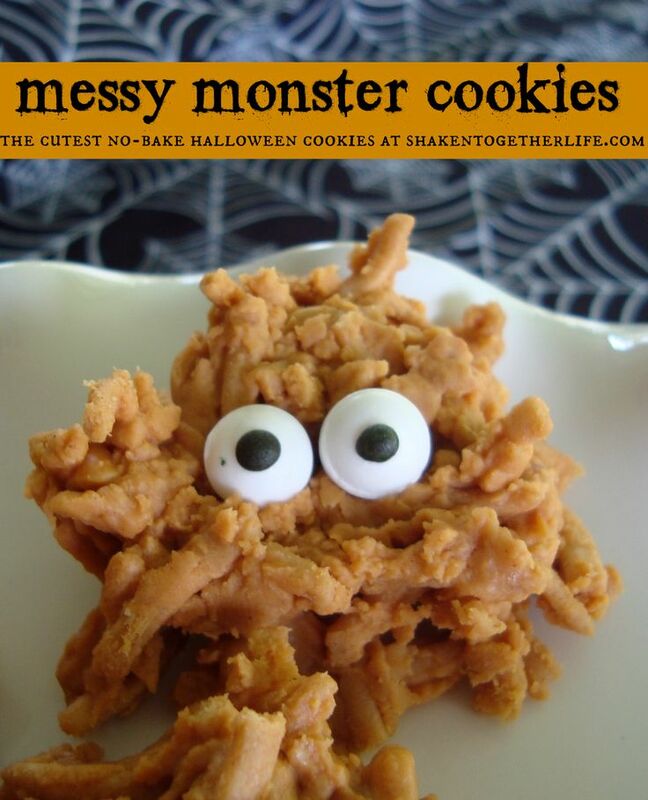 I love the edible sugar eyes on these Messy Monster cookies from Shaken Together…and best of all, they are no-bake! 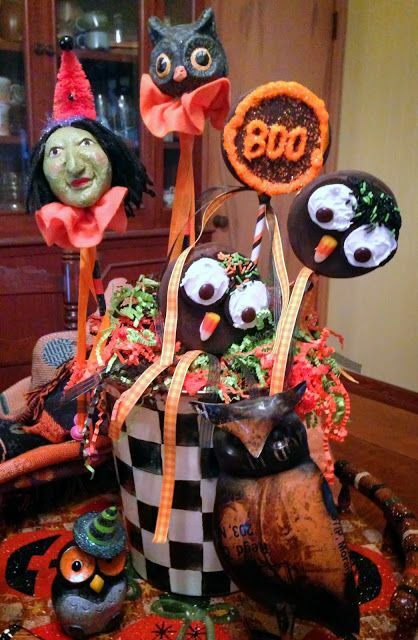 Sarah from Hyacinths for the Soul has elevated the Moon pie to Halloween art! I love these Happy Owl-ween Moon pies on a stick! And who could resist these Halloween dipped and sprinkled apples from Home Is Where the Boat Is! Now I am definitely getting some of those candy eyeballs! 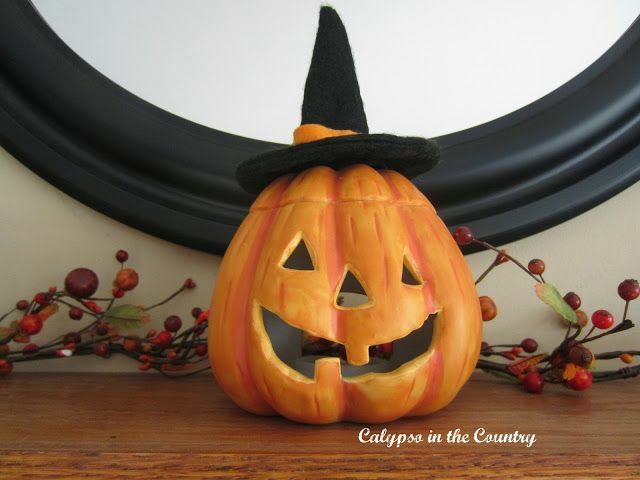 And finally, I am getting in on the Halloween fun with a collection of my favorite super-easy and inexpensive Halloween projects, most of which star items from the dollar store! You can see them all here! I love them all! From cute, cute to down right scary, great ideas! 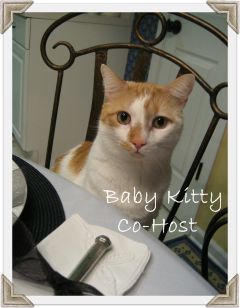 Thank you so much for featuring my Peek a Boo Frankie with all these fun Halloween ideas! Have a lovely week! 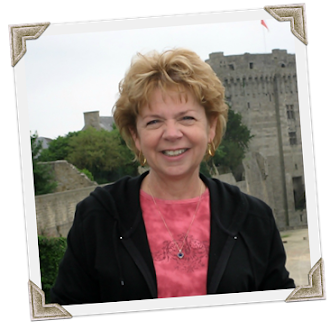 Hi Debbie~ What a Spooktacular roundup! 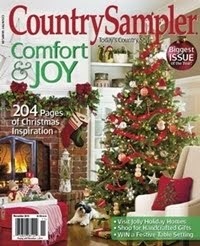 Thanks so much for including my apples and haunted lanterns in your features from The Scoop! 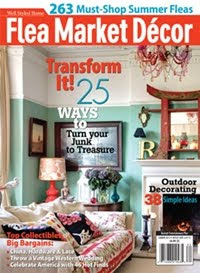 Debbie - thank you so much for featuring my mantel! 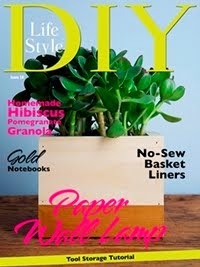 How exciting to be included with all these beautiful creations! Have a great day! Thank you so much Debbie!! 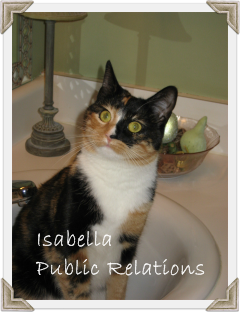 I am so excited to be featured here on the Scoop! 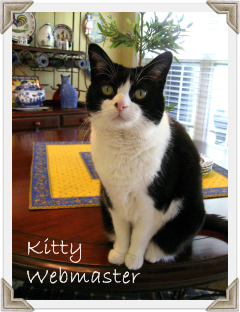 There are some great features here, so I am honored to be amongst them! Hope you have a spooktacular Halloween!